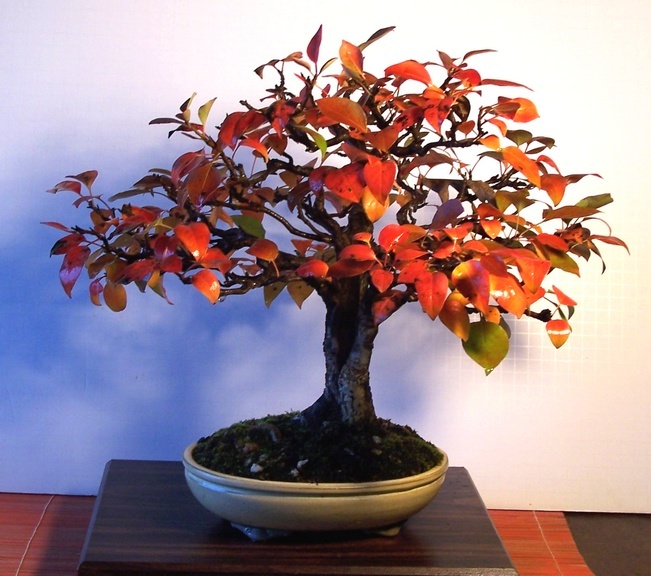 One of the members of our club sadly passed away and the trees were distributed amongst us. 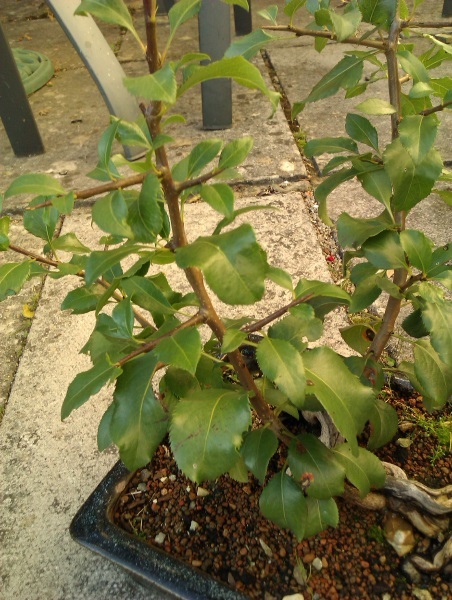 They had been neglected and it is thought that some may have come from warmer climates so I rather interested to know if any on has any ideas about this one I acquired. 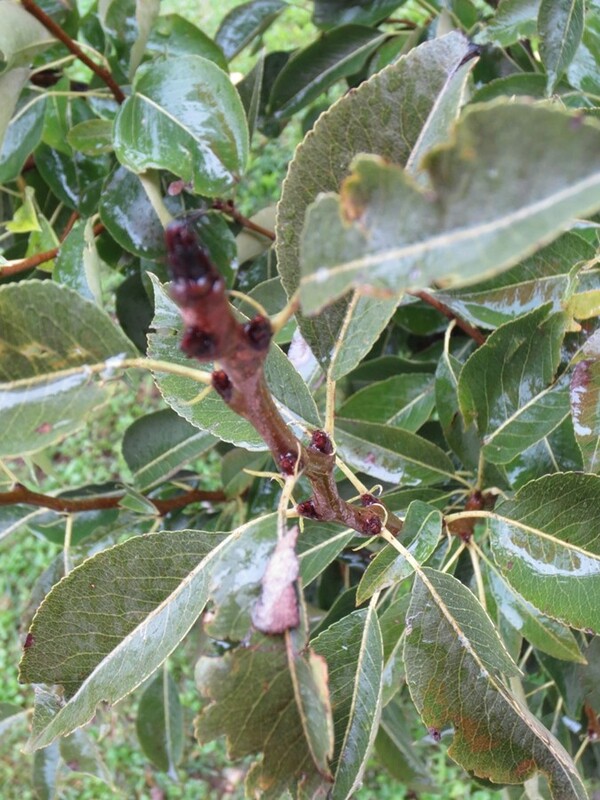 The tree which was dead was a spindly thing about a foot high with quite a spreading structure.At its base it is growing new leaves which have a curious little feature at the bottom of the petiole,two little curly stipules? Is that any clue to identification? It may be something quite exotic or very mundane I don't know, neither did any of our members who have a lot more knowledge than me. So any suggestions are welcome. If it is from warmer climes I would like to know before the temperature starts to go down much further and autumn takes hold. Doesn't match pictures of Pyrus. At first glance I would say Forsythia. 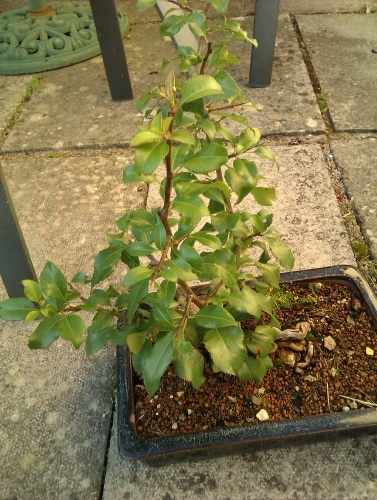 Or possibly an Escallonia ?. 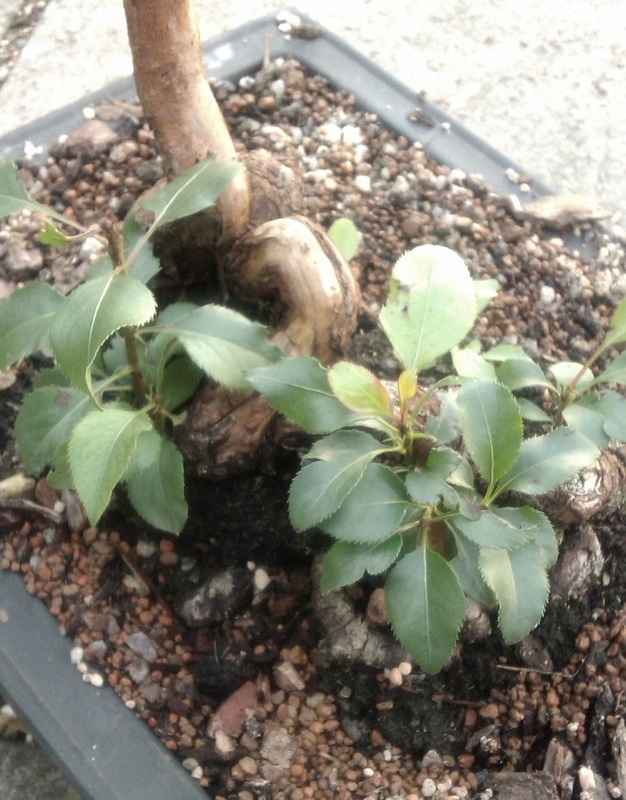 Michael, here are some quick photos of a pear tree from my garden. I am with abcd on this one. 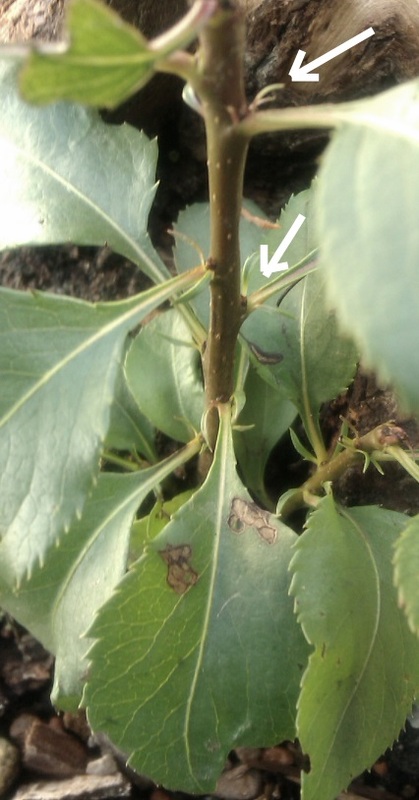 Leafs have sarrated edges and on many young branches you can see this tiny leafs above the sleeping buds on the stem of the main leaf. 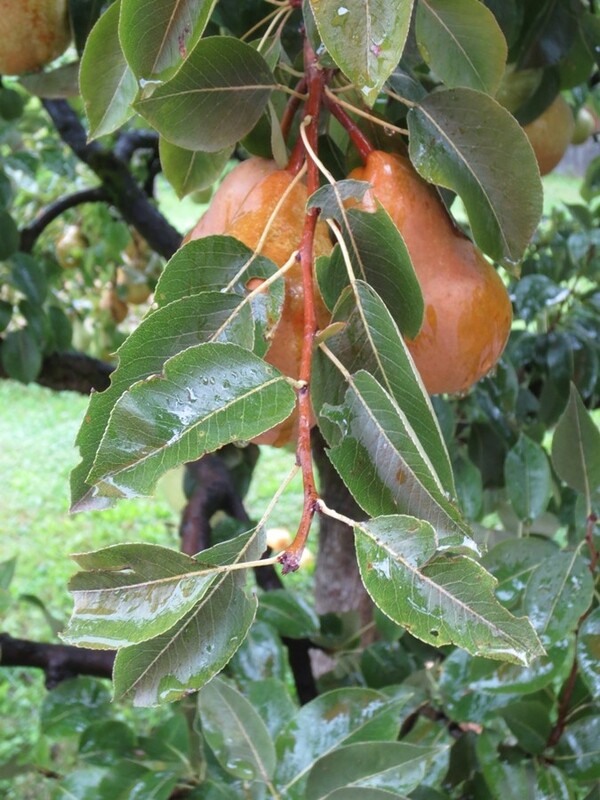 Hello Micheal – I too think it is a pear, it looks like Pyrus pyrifolia. The young or juvenile leaves of many trees have much more heavily serrated margins that leaves on mature branches. I don’t think it is quince as their stipules are fairly large and rounded, not small and needle-shaped like your tree. I’m sorry about the passing of your club member, and good luck with the tree. Time will reveal its identity with much greater certainty. 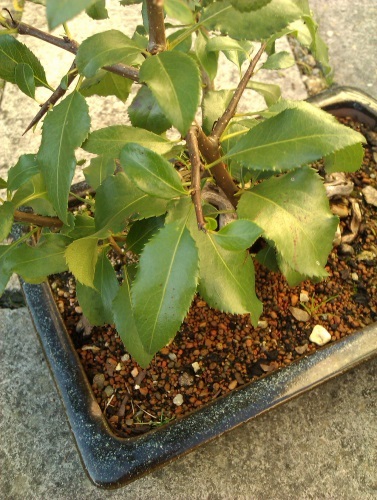 P. pyrafolia make pretty good bonsai, too. Especially in the fall. Thanks for all your suggestions folks,just looking forward to see what it might be one day.Having been told that many of his trees came from hotter climates I shall perhaps take it in under shelter when the nights get colder. Michael Cooper wrote: One of the members of our club sadly passed away and the trees were distributed amongst us. 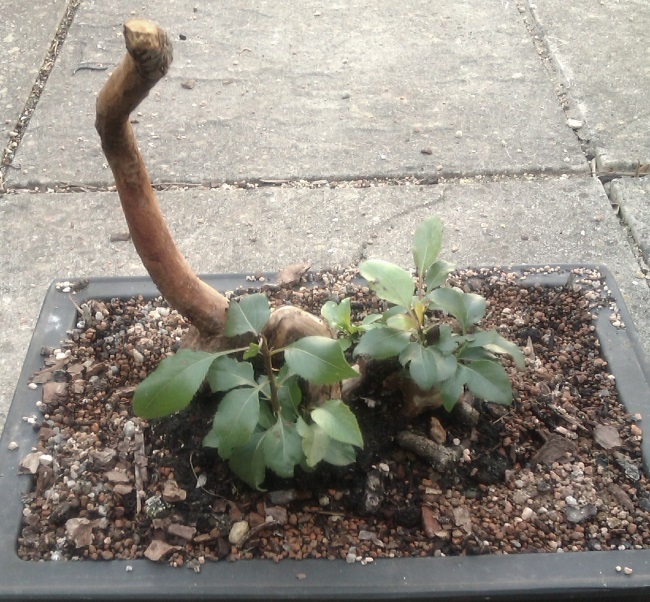 They had been neglected and it is thought that some may have come from warmer climates so I rather interested to know if any on has any ideas about this one I acquired. The tree which was dead was a spindly thing about a foot high with quite a spreading structure.At its base it is growing new leaves which have a curious little feature at the bottom of the petiole,two little curly stipules? Is that any clue to identification? It may be something quite exotic or very mundane I don't know, neither did any of our members who have a lot more knowledge than me. So any suggestions are welcome. I have just let it grow with only a little trimming, now about a foot high,left it iust to see what it might be.It has very sharp thorns now. It does not look like a tropical. To be safe, I would let it have a cool rest just above freezing for the winter. Then next year feed it heavily and let it grow wild until it blooms. Don't you have some sort of agricultural extension service or a nearby university that can identify it? Thanks folks that is food for thought. Probably have to wait till it blooms one day, mind you one of the suggestions means that will be another five years!